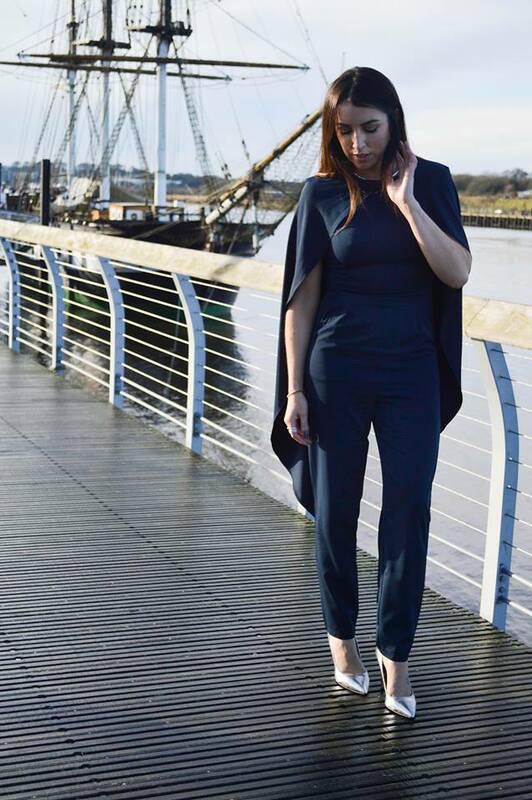 #MamaStyle – An alternative wedding guest look. New Years Day saw my fiancé and I attend our friends beautiful wedding. It rained and rained and rained some more but it didn’t dampen the spirits of the bride & groom, nor anyone else for that matter. The one thing we have no control over is the weather, but we do have control over what we wear on such a terrible day and in the weeks leading up to New Years Day, the weather unfortunately didn’t improve at all and my off the shoulder dress that I’d initially planned on wearing was slowly losing it’s appeal. A back-up look was necessary and that’s where the dependable navy jumpsuit came in. It’s the ultimate failsafe option. 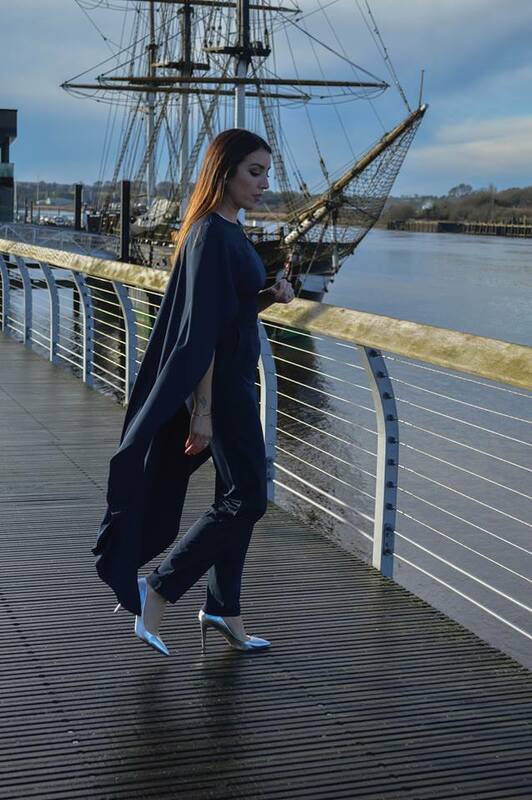 My legs were covered, most of my upper body too and yet I still felt appropriately dressed for a wedding, thanks to it’s unusual cape effect, I love a good cape, there’s something so ethereal about a cape flowing behind you, don’t you think? I let the cape speak for itself and kept accessories to a minimum, I honestly swear by Coco Chanel’s quote – “Before you leave the house, look in the mirror and take one thing off.” Less is more for sure! And finally, I just want to wish Denika & Nicky the very best in their future together. We were delighted to share in your special day! NextWedding dress shopping – What to expect.